A study in Telangana found that unequal ownership of land and the social position of farmers strongly regulated their ability to sustain the use of a new technique of rice cultivation. As the world begins to experience more drought, more extreme precipitation and increased thermal stress on crops, governments and non-state agencies have turned to the idea of climate-smart agriculture – technologies or management practices to deliver yield increases, climate resilience and lower greenhouse gas emissions. In many regions of India, the system of rice intensification (SRI) has been promoted as one such ‘climate-smart’ technology. SRI was developed in Madagascar in the 1980s and later promoted in other rice-cultivating regions. SRI is defined by a combination of techniques, including the individual transplanting of young seedlings, maintaining wide spacing between plants, alternate periods of wetting and drying and the regular use of a mechanical weeder. The primary advantages of the system are argued to be higher overall yields with less water consumption and lowered greenhouse gas emissions. On this basis, SRI is promoted by some agricultural scientists as a sustainable and efficient technique to cultivate rice. Like many new agricultural technologies, however, there can often be a gap between their projected benefits and the ability or will of farmers to adopt them. On this basis, we conducted sociological research to understand the implementation and acceptability of SRI among the farmers in the semi-arid region of Telangana in 2016. Andhra Pradesh state government launched a flagship programme called JaiSRI to promote the method between 2010 and 2014 (Telangana was subsequently created on June 5, 2014). Local non-governmental organisations (NGO) were hired to train farmers and build a skilled labour force in four districts: Medak, Nalgonda, Khammam and Mahabubnagar. Through a series of informal interviews with farmers across six villages, we identified a sequence of social factors that shaped SRI practices among farmers. SRI requires the timely availability of a trained labour force for transplanting young seedlings to the field and removing weeds. In contrast to standard rice cultivation, seedlings must be transplanted within a precise time frame if cultivators are to derive full yield benefits of SRI. Labour shortage, however, appeared to be a crucial constraint. The increased migration of people to urban areas alongside the increasing popularity of Mahatma Gandhi National Rural Employment Guarantee Act, 2005 has further narrowed the rural labour pool. As a result, farmers were conducting bidding wars for labour, paying almost twice or thrice the normal daily wage rate of Rs 150-200 per person. Only a limited section of more affluent farmers felt confident about securing labourers when they were most needed. At the same time, many male farmers complained that SRI intensified their workload due to intense supervision required for seedling transplantation and using a mechanical weeder. In a way, the burden of agricultural drudgery was passed from men to women – a social shift some men were unwilling to accept despite the potential for improved yields. SRI emphasises using alternate wetting and drying to reduce the aggregate amount of water used for cultivation. Using such a method in the semi-arid region of Mahabubnagar, however, created new risks. Over the past two decades, this region has seen a steep rise in borewell drilling practices among farmers, drastically reducing the groundwater level. This has, in turn, affected the community tank irrigation system. Furthermore, the inconsistent supply of electricity to pump the groundwater makes the availability of water on a regular basis a management challenge for farmers. 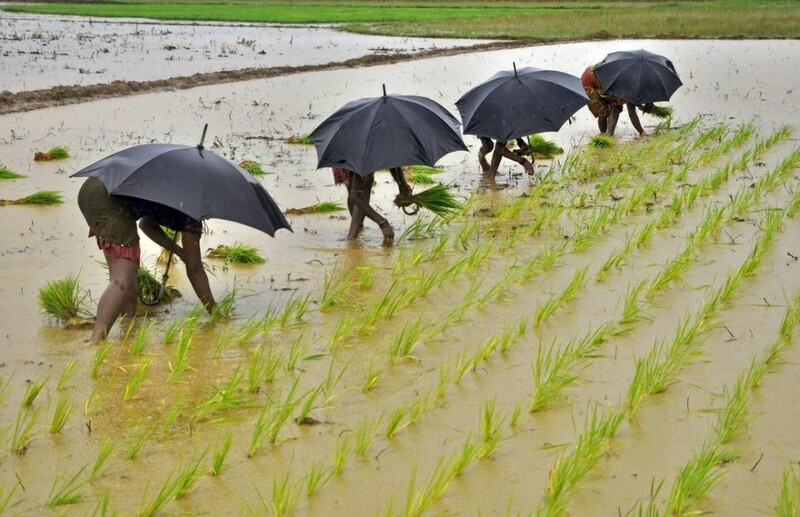 In light of these conditions, farmers were concerned that if they allowed their fields to dry as prescribed by the SRI method, water might not be available at the precise time they would need to re-flood the field. This could lead to crop failure. As a result, most small and medium landholders modified SRI to maintain a steady supply of water (about 1 inch) in the field throughout the cultivating phase. This reduced the risk, but at the cost of an impact on yields and water conservation. Large landholding farmers, however, were able to implement the full alternative wetting and drying technique because of access to banks for drilling more borewells and owing larger pieces of land, thus reducing the possibility of tapping the groundwater by neighbouring farms. In this way, regular access to water overlaps the existing socio-economic divisions among the farmers, thus determining who can successfully employ the new method. Contrary to the advocates of the method describing it as a ‘bottom-up approach’, the spread of SRI in Telangana was a heavily institutionalised one backed by subsidies and other incentives provided by the government. Importantly, the farmers’ access to the information and material incentives such as subsidies, free seeds and tools was defined by their social position in local networks. The nature of incentives provided for the JaiSRI programme differed yearly, ranging from cash transfers to subsidy on agricultural labour wages to availability of free seeds. Most of the farmers that joined the programme initially were relatively affluent ones, able to secure the benefit of direct cash transfers that existed only for the first years of the programme. More marginal farmers who joined later never received the same benefits. The differences in access to network existed not only at an individual level but also at the village level. The list of beneficiary villages consisted mainly of those villages located on the main road and having a long relationship with the local NGO. On another side, the tools provided that includes the weeders and marking instruments were unevenly distributed among the villages. In some cases, affluent farmers monopolise the use of these instruments, restricting the possibility of its use by others. In all, we found that unequal ownership of land and the social position of the farmers strongly regulated their ability to sustain the use of SRI. For socially and economically marginalised farmers, the use of SRI posed significant challenges – tightening labour availability, uncertain water access and relative marginalisation from the networks that provided training and subsidies. Farmers abandoned SRI once the official programme extension had ended. This indicates how social dynamics play a significant role in the sustained adoption of new agricultural technologies. 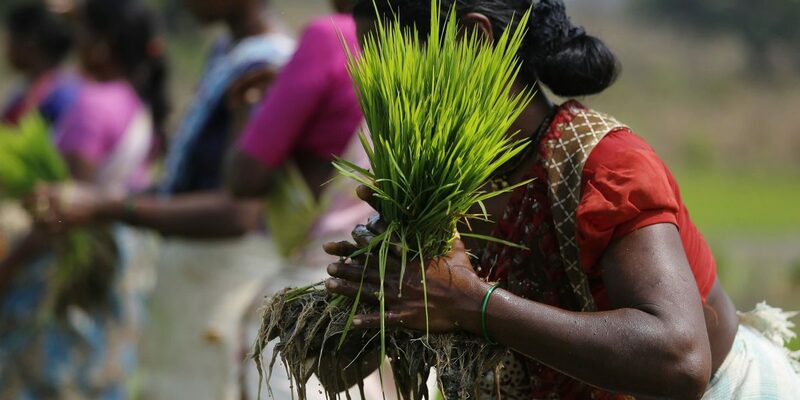 The enthusiastic promotion of SRI and thereby climate-smart agriculture from many state governments and NGOs often neglect how the adoption of agricultural technologies are shaped by these social dynamics. Without taking these factors into account, new agricultural technology can be adopted by only a small portion of intended beneficiaries or be quickly rejected once the implementing agencies have left. Suhas Bhasme is a postdoctoral research fellow at Ashoka Trust for Research in Ecology and the Environment (ATREE), Bangalore. India. Marcus Taylor is Associate Professor and Head of the Department of Global Development Studies, Queens University, Kingston, Canada.